Engineering controls, to put it as succinctly as possible, are methods designed to get as close to eliminating the hazard as possible, without actually eliminating it. This is done by designing something into the facility, the piece of equipment, or the procedures themselves to reduce the hazard or the employee’s exposure to it. As long as they are designed properly (and used by employees properly) they tend to be very reliable. An example of an engineering control is isolating a hazardous portion of the process. In manufacturing, for instance, a part of the process may be spray painting parts. 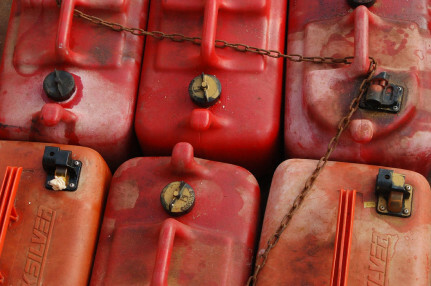 This task poses both health and ignition concerns. In order to isolate the hazard, many manufacturers would utilize a spray booth. The booth prevents the worker from inhaling the paint fumes and paint residue while also reducing the risk of explosions and fires. A glove box for handling hazardous materials and chemicals is another example of isolation as the box allows the employee to do the work while not being exposed to the material/chemical. A process change is also considered an engineering control. This control is common (though maybe not common enough) when dealing with silica. Using water to suppress concrete dust or a HEPA-filtered vacuum attachment to remove the dust from the air are not only good controls, they are – in ways – integrated right into the new silica standard. Automating the hazardous work so that no employee has to be exposed is another example of a change in process. Another option is ventilation, the most effective of which is local exhaust. Local exhaust removes the hazard (in this case, a fume, gas, vapor, or dust) at its source, while general ventilation allows the hazard into the work area as it’s diluted to an acceptable level or as it’s pulled or pushed (depending on whether it’s a positive or negative pressure system) into an exhaust duct, door or window. Dilution methods are really only able to be used in very low toxicity situations where employees are able to maintain a safe distance from the source. General ventilation can be costly as large amounts of air need to be moved in larger spaces and that air often needs to be temperature controlled to keep the workplace comfortable. Often, an engineering control doesn’t exist in a vacuum. Some need to be used in conjunction with other controls, such as personal protective equipment, to ensure they are used and working properly. Training is always required because no system is human-proof. 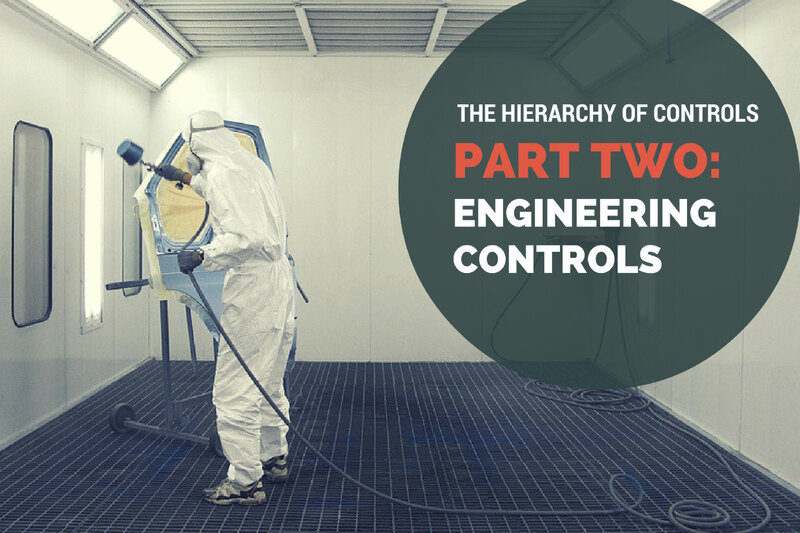 In fact, engineering controls are definitely not a one-size-fits-all solution. Before one is selected, it’s necessary to look at a number of factors. How easy is it to use? Your employees are going to be expected to use it properly. An over-complicated system could greatly increase the possibility of human error or, worse yet, the possibility that your employees choose to attempt to bypass the system. How reliable is it? Engineering controls need to have a practically perfect rate of success. If they don’t, not only are your employees not protected, but they may be operating under a false sense of security. How much does it cost? Yes, as safety professionals we like to think it’s “protect the employees, no matter the cost!” but in the end, employers do still exist to make a profit. That’s not to say that a company will not implement necessary controls, but they’re not going to be happy if they spend a fortune on one solution only to discover that there is a cheaper and equally effective solution available. Do your homework before selecting any one option. 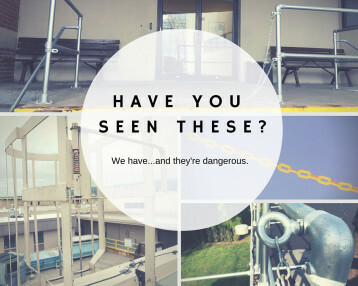 Engineering controls are your best option when the hazard cannot be eliminated. Ensure the safety of your employees by selecting/designing the proper solution and then train your people so that the control works as intended. 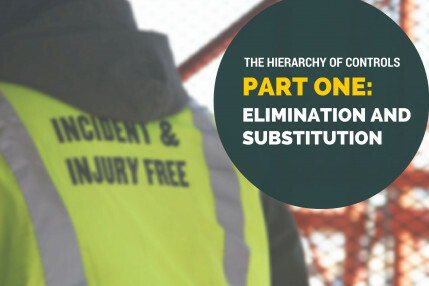 If the possibility of substitution, elimination, or engineering controls all fail – or if you simply as desire additional protection – administrative controls will be the next step.